The Archaeology and Historic Preservation Program of the Fisheries Department is responsible for protecting cultural resources within the Suquamish Tribe’s Usual and Accustomed fishing area (U & A) and the traditional territory of the Suquamish People. The program has a Tribal Historic Preservation Officer and a staff archaeologist to address cultural resources issues. 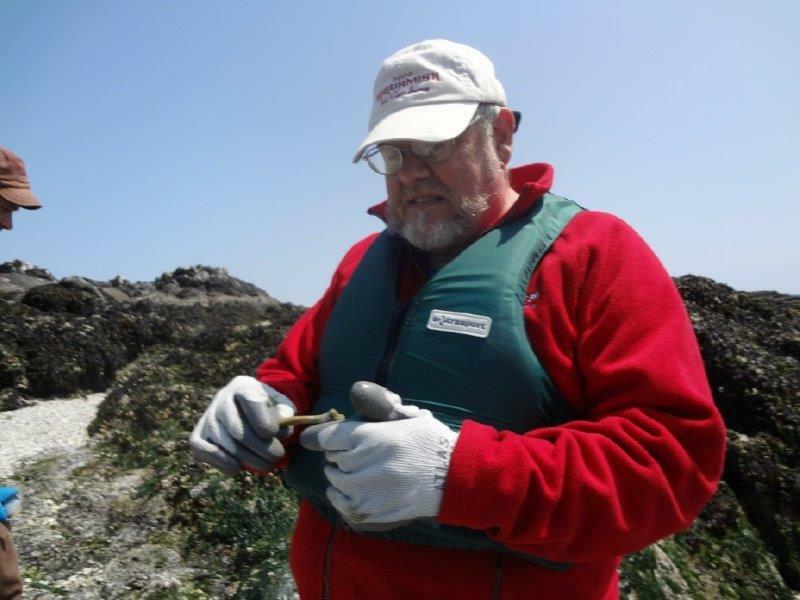 The Archaeology and Historic Preservation staff members are primary contacts for cultural resources management topics within the adjudicated Usual & Accustomed fishing area of the Suquamish Tribe. Archaeology and Historic Preservation Program staff members work with the Suquamish Tribal Council, Tribal members, and Tribal staff to identify, record, and protect traditional cultural places and archaeological resources. 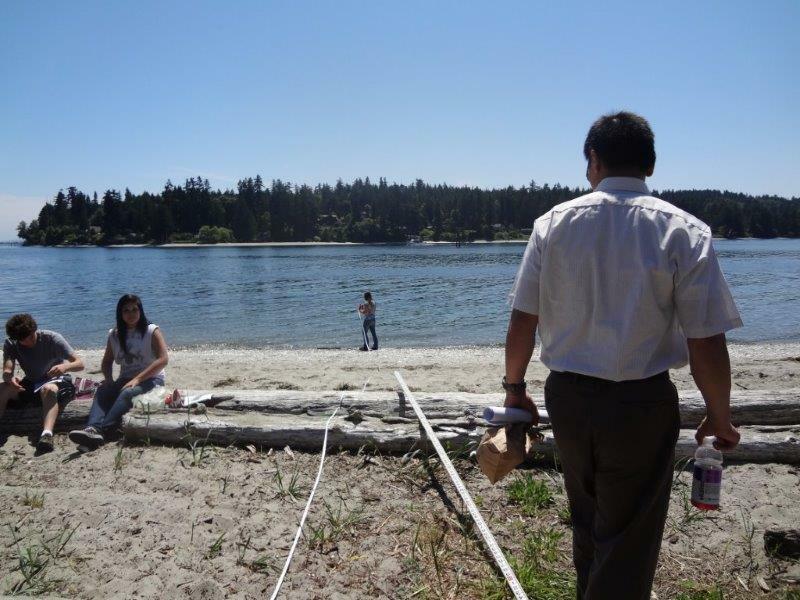 Program staff responds to discoveries of Indian human remains throughout the Suquamish U & A and facilitates repatriation of Suquamish ancestors to the Tribe. Historic Preservation staff facilitate a hands on presentation, measuring grounds Old Man House. An archaeological shell midden on the Port Madison Indian Reservation. Shell middens are a common indicator of village sites. 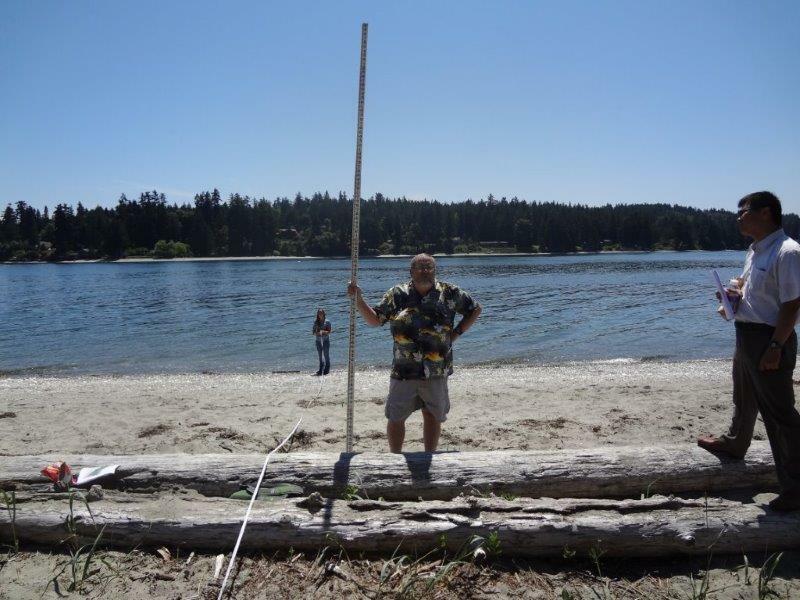 The Tribal Historic Preservation Officer and Archaeologist review project plans to be sure archaeological and traditional resources are not destroyed during construction within the Suquamish Usual & Accustomed areas. Background research for proposed project areas and field visits are made when needed. The Preservation Officer reviews federal and state permits for projects throughout Western Washington, in the City of Seattle, and projects in Island, Kitsap, Jefferson, King, Mason, Pierce, and Snohomish counties. 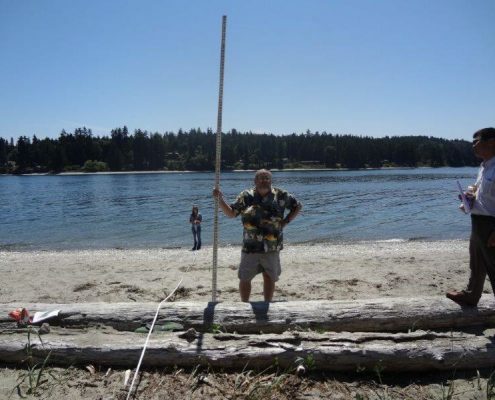 The Archaeologist reviews projects in Kitsap County municipalities and unincorporated Kitsap County and Department of Natural Resources Forest Practice permits. Ancestral human remains may be uncovered during construction excavation at projects throughout the Puget Sound region. 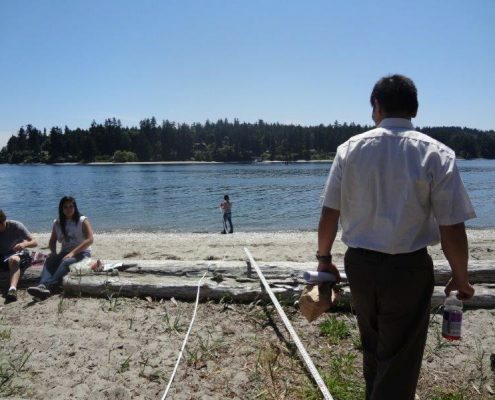 Pre-contact burials also may be exposed by natural erosion along Puget Sound beaches or river banks. Some non-natives inappropriately collect ancestral remains from beaches or construction sites, and store them in attics or display them on fireplace mantles. Native American ancestral remains are protected under federal and state laws. The Washington State Physical Anthropologist, is responsible for investigating, preserving, and, when necessary, removing and reinterring discoveries of non-forensic skeletal remains. Tribal Historic Preservation staff work with the State Physical Antropologist, the Suquamish Tribe Ancestor Repatriation Committee, and elders from other Tribes to determine culturally appropriate ways to treat inadvertent discoveries of ancestral remains in construction sites or to repatriate ancestors held by private individuals. Historical Preservation staff work with Tribal Elders and Cultural Co-Op to identify traditional places in and around the Port Madison Indian Reservation. 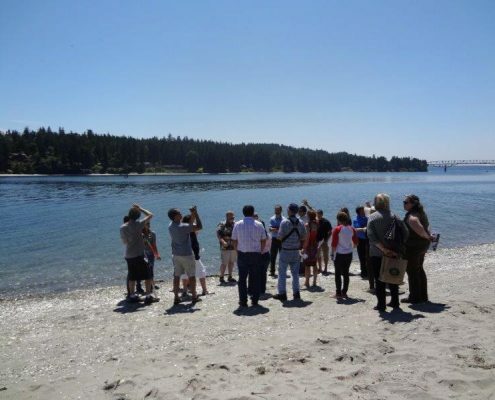 Staff members recorded locations and descriptive information of historic period Suquamish villages and camps, ethnographic place names, archaeological sites, hunting areas, and plant collecting places to help manage Suquamish cultural resources. This information, combined with environmental data such as soil types, vegetation coverage, and locations of fresh water, was used to develop a probability or cultural resources sensitivity map of Kitsap County to help planners protect cultural resources, to share cultural information with Tribal members, and to help Tribal members identify productive areas for plant collecting and other traditional activities.